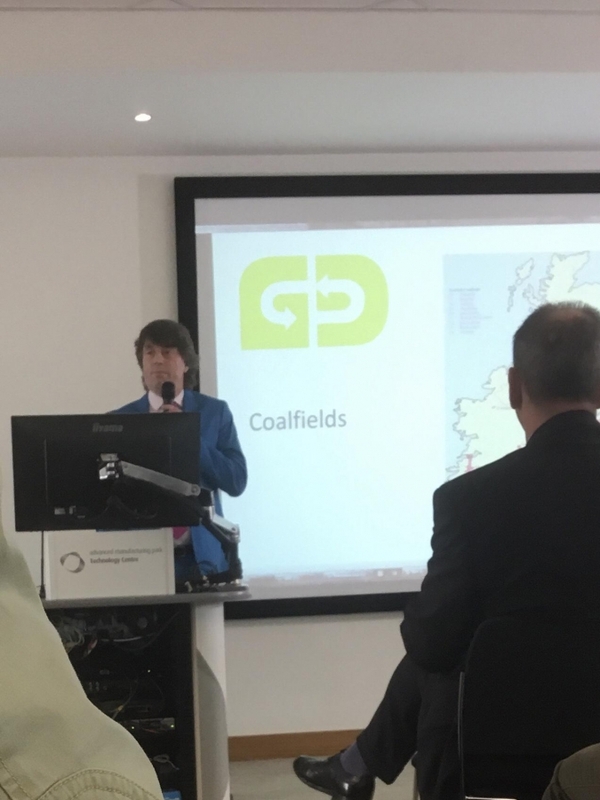 In partnership with the Templeborough Biomass Power Plant, Green Directions has developed a proposal for a heat network to serve the centre of Rotherham and major businesses including Liberty Steel and Steelphalt. The project has a budget of over £16 million based on a detailed engineering study commissioned from Atkins. The project has applied to the European Regional Development Fund for part of the funding, a decision about which is expected during the Autumn. The heat network will take heat from the Templeborough Biomass Power Plant - a source of renewable energy. 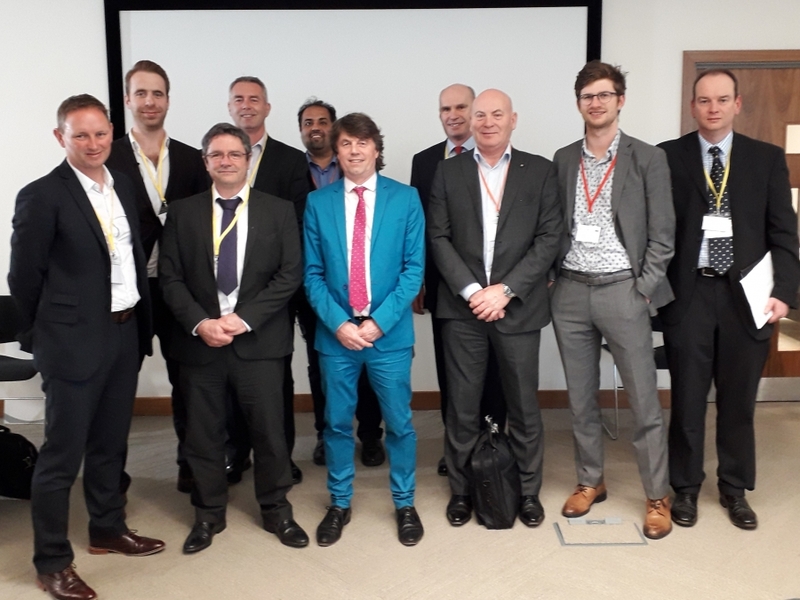 It will enable businesses and public sector organisations to purchase heat at a lower cost than currently on offer, give Rotherham more control over its energy supply, reduce carbon emissions and reduce air pollution. 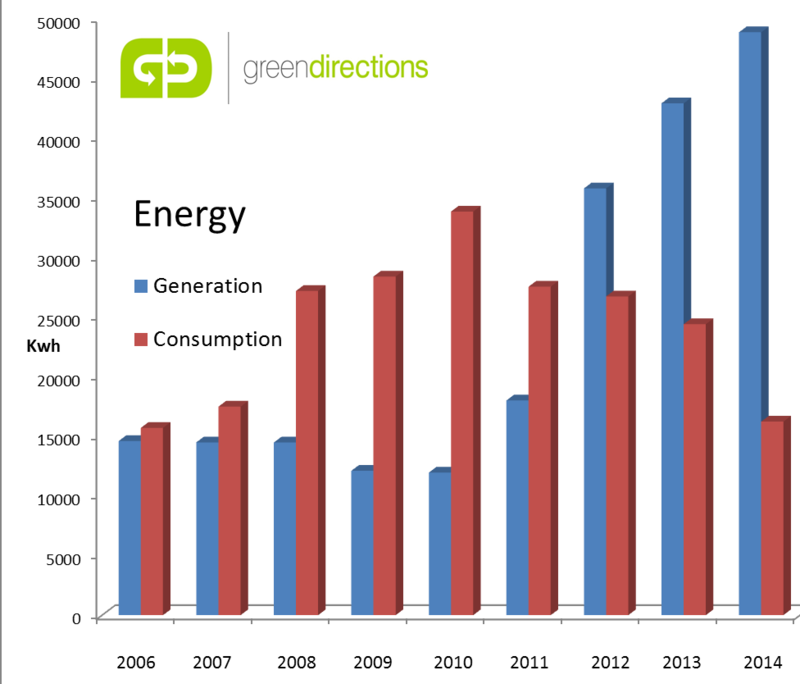 Here is the data for our energy production over the past 9 years showing how, despite increasing substantially the size of the buildings, we now make more energy than we use. On November 8th, we are one of three’ shortlisted conference venues competing in the prestigious Green Tourism Goldstar Awards in Bristol. Our competition is Wembley National Stadium and the Edinburgh International Conference Centre. The Green Tourism Business Scheme is the national sustainable tourism certification scheme for the UK and is the only national scheme to be independently validated by the International Centre for Responsible Tourism on behalf of VisitEngland, VisitWales and the Northern Ireland Tourist Board and endorsed by VisitScotland and Failte Ireland. Fellow Gold Award organisations include Welcome to Yorkshire of which Green Directions is a member. 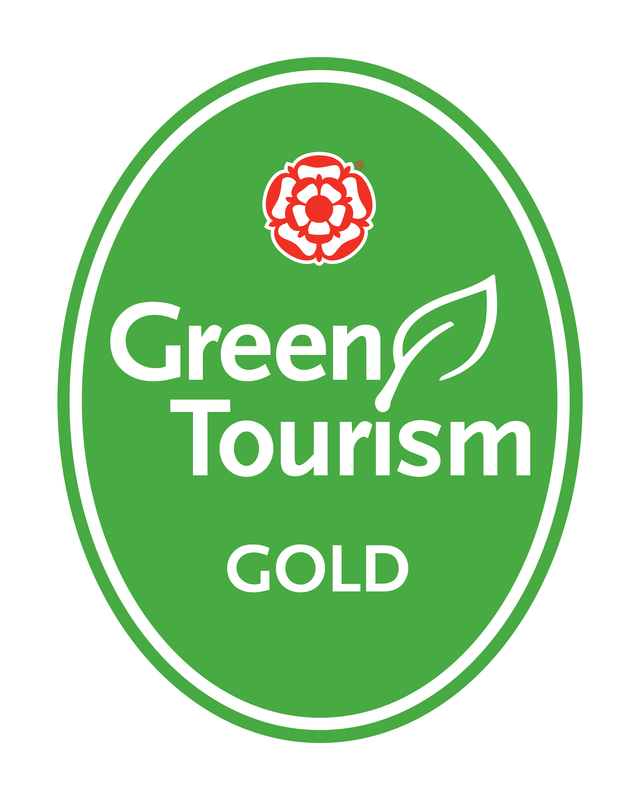 Green Directions has achieved the gold award under the Green Tourism Business Scheme. 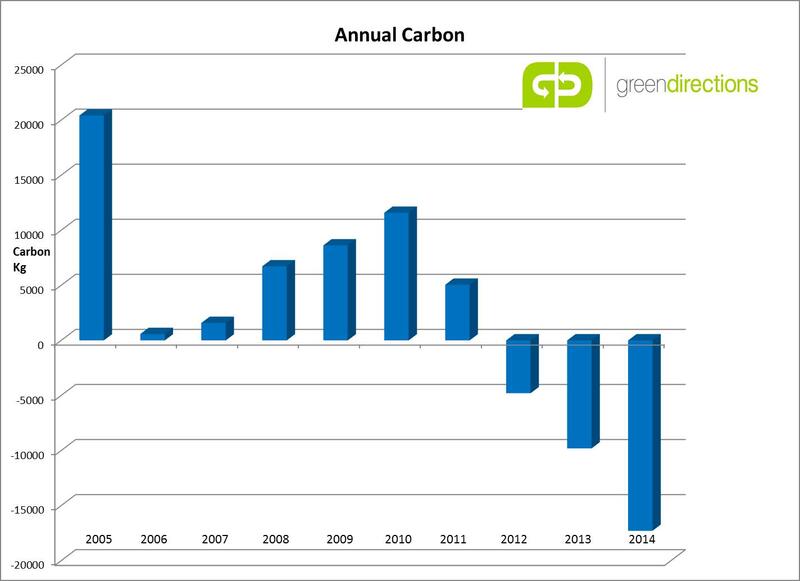 The Green Tourism Business Scheme is the national sustainable tourism certification scheme for the UK. It is the only national scheme to be independently validated by the International Centre for Responsible Tourism (ICRT) on behalf of VisitEngland, VisitWales and the Northern Ireland Tourist Board and endorsed by VisitScotland and Failte Ireland. “GTBS provides excellent value for money to a wide range of tourism firms with first class environmental advice and auditing. Satisfaction rates of certified firms are very high and drop out rates low, both for the smallest of tourism firms and increasingly at corporate level.” Xavier Font, ICRT. Businesses opting to join Green Tourism are assessed by a qualified grading advisor against a rigorous set of criteria, covering a range of areas, like energy and water efficiency, waste management, biodiversity and more. Those businesses that meet the required standard, receive a Bronze, Silver, or Gold award based on their level of achievement. The current network of members is comprised of a wide range of business types, including accommodation providers, visitor attractions, corporate offices and others. s with its Quality Badge following it annual review, the Council for Learning Outside the Classroom has confirmed that Green Directions offers high quality educational experiences. Beth Gardner, Chief Executive of the Council said: "Educational visits are among the most memorable experiences in a child's school life. The LOtC Quality Badge offers teachers a guarantee that not only is a venue providing the sort of educational value that they can build on long after the visit but they also have the appropriate risk management structures in place. I congratulate Green Directions on being awarde the LOtC Quality Badge."